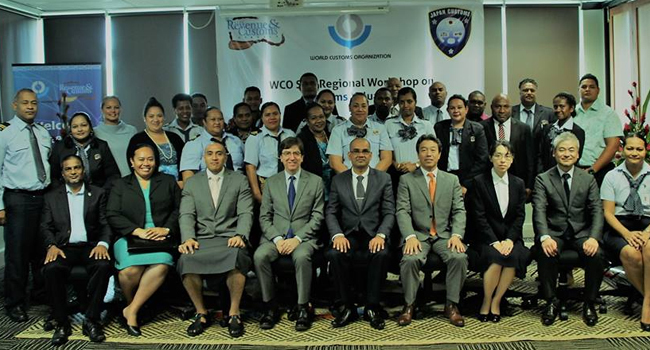 A weeklong sub-regional workshop on valuation is currently underway at the World Customs Organization Regional Training Centre at Fiji Revenue and Customs Complex in Suva. Opening the workshop today, FRCS Chief Executive Officer, Visvanath Das highlighted the need for developing countries to cope up with development in technology and move ahead with the rest of the world. He adds that customs valuation is a core tool for customs administration around the world. Das adds that the initiative will feature a range of customs valuation issues, including various articles of valuation, including the goods supplied under warranties, royalties, license fees and transfer pricing. The workshop will deal with the nature and significance of customs valuation systems and practices and their international standardization. It will also provide insights into the various case examples and examine the types of measures that could contribute to effective valuation of import shipments. WCO Lead Facilitator, Ian Cremer stressed the need for striking a balance between revenue collection and trade facilitation. Head of Regional Office for Capacity Building, Kazunari Igarashi told participants that WCO is discussing ways to support small island developing states in areas of International trade. Igarashi says that manipulation of trade invoices are common occurrence and it is something that will be discussed. Twenty-four participants from Fiji, Tonga, Samoa, Vanuatu and Papua New Guinea are part of the workshop.